TheLevelOne, Bhanu Chopra, wkw and 1 others like this. Is this a straight shot or is the contrast bumped up, just curious as I have a similar watch in my Hamilton? I don't have a problem with it, I can barely make out the Titanium on the side of my Hammy..
Last edited by Slm643; January 18th, 2019 at 18:00. 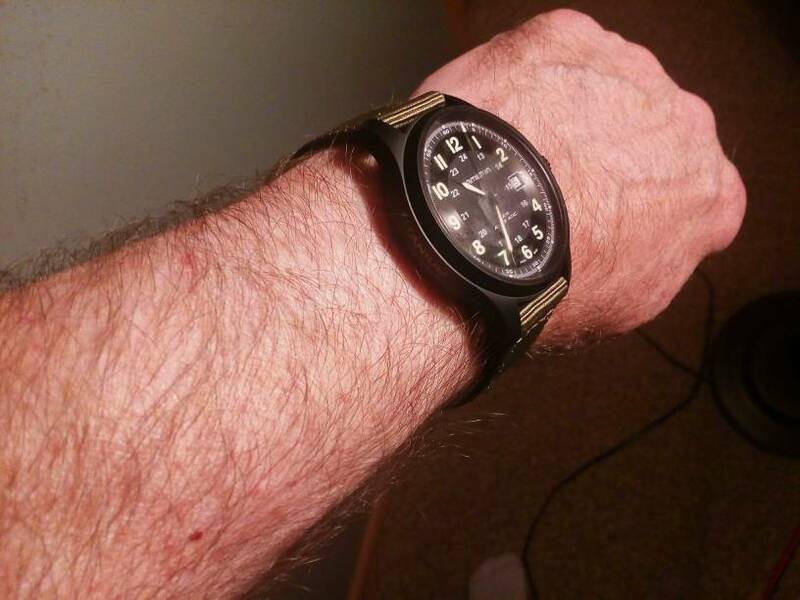 It certainly has the tool watch look going for it. Oops I neglected to say what I thought about it..... I like it very much wanna trade? I thought it was yours... Sorry.. I wonder if it's ss... Tic is that better than pvd coated titanium? Last edited by Slm643; January 20th, 2019 at 19:33. Not hot, not cold. OK, I guess. Last edited by DNARNA; January 20th, 2019 at 22:06. Personally, i think these type of watches look like the ones you can pick up at a service station on the A3 for £1.99. No deletion needed, just my opinion. Kills the minimalist nature of the watch so for me, a no go. I'm not too keen on black cases watches either although it would be a lot nicer without the engraving. I never understand why you would want the engraving over plain sided case. Same situation with Squale.